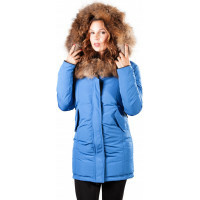 Whether you're at the mountains or in the city, 'Women Parka Mont Tremblant Arctic North Cobalt' is perfect for beating the cold weather blues! 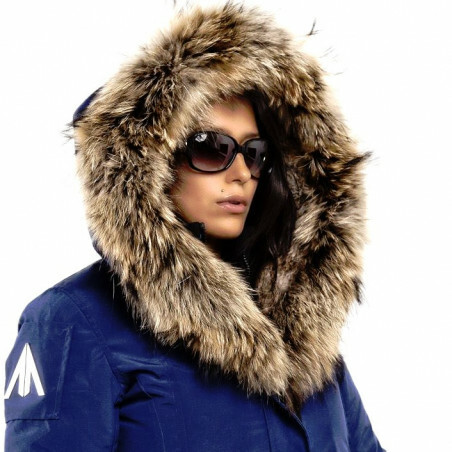 This parka was inspired by the beautiful mountain Mont Tremblant. This jacket tames the winter. It is warm, comfortable, and classy. The long, slim fit is tailored to make your feel and look the best all winter long. The waist can be adjusted by woven straps on the sides. Rib knit cuffs keep the warmth in, while two cotton-lined pockets add to its style and functionality. This coat has it all. 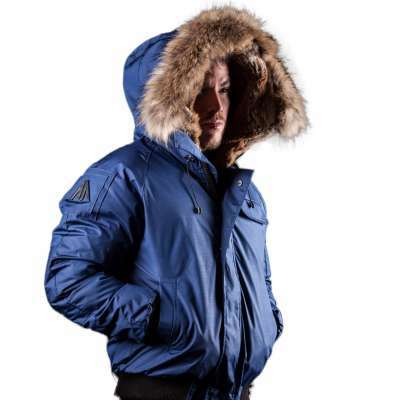 It will be the main part of your winter wardrobe for years to come. 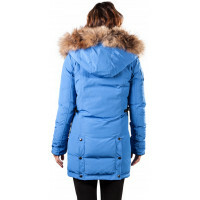 Bundle up in Arctic North Women Mont Tremblant Cobalt Parka - it's a must-have for colder weather!